We had so much fun meeting and seeing all of our patients! We were very happy with the turnout and we were able to show off our office to the community and anyone who is interested in becoming a patient here at Paradise Dental. Our Blood drive was a success! We were able to collect 21 units at Saturday’s Blood Drive. You helped us, not only meet our goal, we beat it. As a result of the Blood Drive, the potential of up to 63 patients could receive this life sustaining, lifesaving gift. This is something that the team members at Paradise Dental feels extremely proud of in this time of great need for Blood Donors. 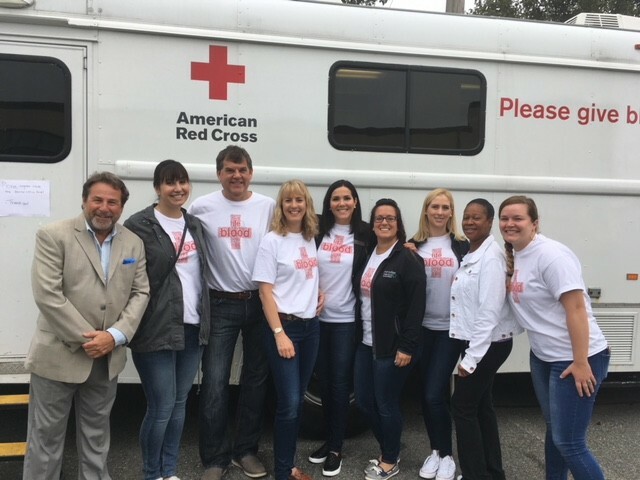 Successful Blood Drives ensure we are able to honor the American Red Cross’ commitment to hospitals both locally, and nationwide in this time of need. We are so grateful to all who came out to support the event. Our sincere thanks to all who donated. You made an impact on those patients (and family members of those patients) whose lives you have touched in such a positive way by holding this Blood Drive… THANK YOU for joining us in GIVING BACK! Check out how much fun we had saving lives! If you are interested in learning more about Paradise Dental and how we can help you with your dental problems, or just to keep your mouth healthy, contact us today!